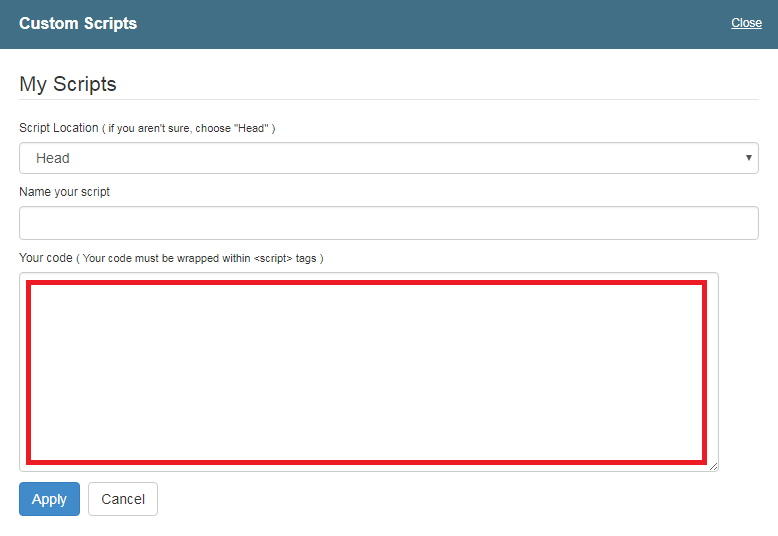 Select "Scripts and Style" in your Pagewiz Dashboard. Select the "JS Scripts" icon. Select "Add a new script"
Add your Globalizeit Script to the "Code Editor"
Select the "Preview" icon on the top navbar.